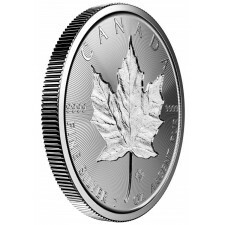 The Canadian Silver Maple Leaf coin is one of the world's premier bullion products. Silver buyers are drawn to the silver Maple for its industry-leading .9999 purity, its advanced security features, and highly attractive design. Investors also like to buy silver Maples because they often carry a lower price than other major silver bullion coins,. 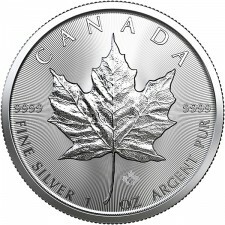 In most markets, the silver Maple Leaf will cost less than an American Silver Eagle. 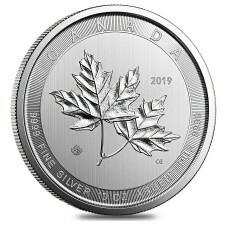 Monument Metals has a deep inventory of Canada Silver Maple Leaf coins for sale, including the 2019 issue.